Junior Asian champion shuttler Lakshya Sen became the only Indian to advance to the quarter-finals of the badminton event in Youth Olympics 2018 at Buenos Aires, Argentina on Tuesday as Vaishnavi Reddy Jakka exited the tournament. Sen is the fourth seed at this event and he faces a very familiar opponent in Indonesia’s Ikhsan Leonardo Imanuel Rumbay. 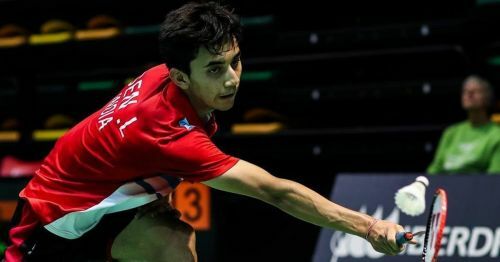 The latter is the sixth seed and lost his earlier encounter to Sen at the Badminton Asia Junior Championships in July. The 17-year-old Sen had been placed in Group F from where he was expected to advance after topping the group. He lived up to the expectations by winning all three of his matches in straight games. Sen started with an effortless 21-14, 21-10 win over Egypt’s Mohamed Mostafa Kamel. He faced some stiff resistance in his next match but still did not concede a game in his 23-21, 21-8 win over Danylo Bosniuk of Ukraine. Day 3 too turned out to be a breezy affair for the young Sen as he beat Brazil’s Fabricio Farias 21-6, 21-16. The highly talented Sen has been improving by leaps and bounds for the past couple of years and looks determined to bring back a medal for India. His biggest challengers could be top seed Kunlavut Viditsarn, second seed Kodai Naraoka, and third seed Nhat Nguyen. Among them, Naraoka remains a thorn for the Indian as he already has two wins over Sen. While Lakshya has beaten Viditsarn in their only encounter at the Asian Junior Championships final this year, he has never met Nguyen. Meanwhile, Jakka lost out on a chance to progress because of her 18-21, 21-23 loss to Jennie Gai of the USA. The fourth seeded Indian did beat Fernanda Saponara Rivva 21-14, 21-8 and Elena Andreu 21-13, 21-6 in her other two matches. But that was not enough as Gai won all three of her matches and made it through to the quarter-finals from Group F.